Crostata an Italian baked dessert Tart. The base of a crostata is pasta frolla (or pastafrolla), sweet short crust pastry (or sweet tart dough) made of flour, sugar, butter and eggs. Pasta frolla is versatile: it provides the base to make crostata with fruit preserves, pastry cream, fresh fruit, ricotta, and other ingredients, and, by itself, it makes very nice cookies. It is traditionally prepared by folding the edges of the dough over the top of the jam/marmalade filling, creating a more "rough" look, rather than a uniform, circular shape. 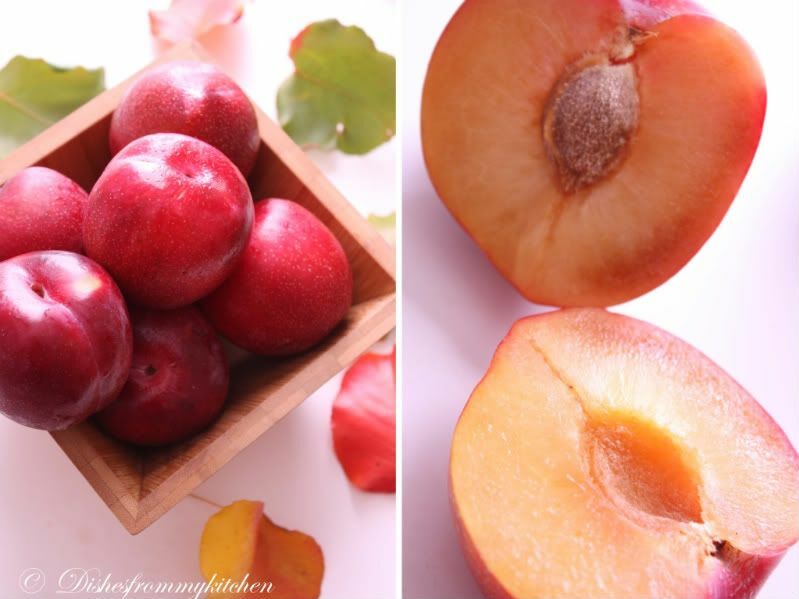 The jams that are traditionally used as a filling are cherries, peaches, apricots, berries. 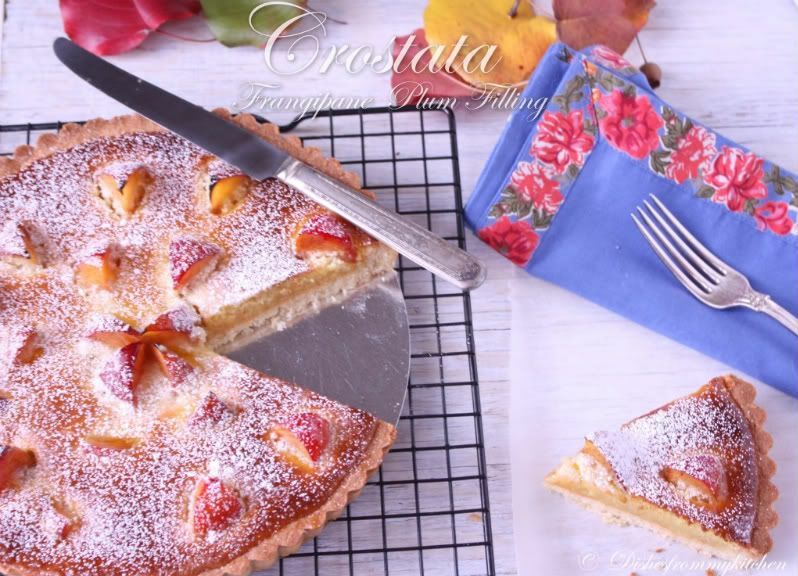 The crostata can also be filled with pieces of fresh fruit and pastry cream, but then it is called torta di frutta. A typical central Italian variety replaces jam with ricotta mixed with sugar, cocoa or pieces of chocolate and anisetta; this is called crostata di ricotta. 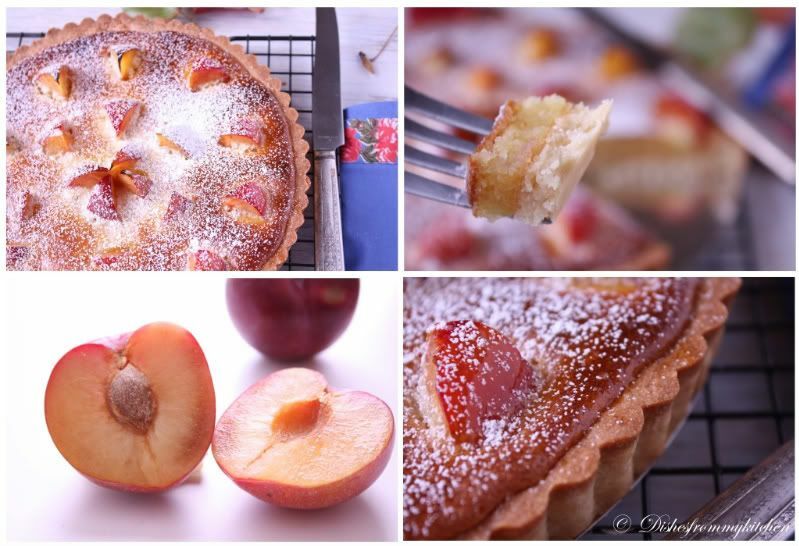 For filling its our own choice, So I made Frangipane Plum filling which is our favorite one. Since I had so much plum I combined with the frangipane(Almond cream), you can choose any of your favorite fruit like Peach, apple, pear etc. 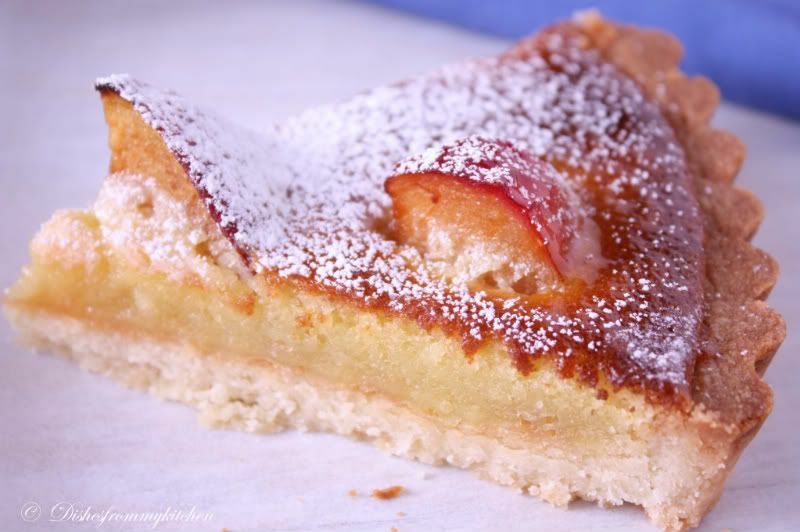 Frangipane is a filling made from or flavored like almond. This filling can be used in a variety of ways including cakes, tarts and other assorted pastries. So here goes the challenge. 4. See step 3 above and continue as explained in the following steps (minus the lemon zest, which you have already added). 1. If you want, you can make the pasta frolla using a combination of all-purpose flour and whole-wheat pastry flour. 2.If you choose to try this variation, use 1 cup unbleached all-purpose flour and 3/4 cup whole-wheat pastry flour. 8. Trim the excess dough hanging over the edges of the pan. Press the remaining dough around the border into the sides of the pan making sure the border is an even thickness all the way around. 9. Prick the bottom of the dough with a fork in several places. 10. Bake it in the oven for 20 to 25 minutes. Cool it until you prepare the filling. 1. 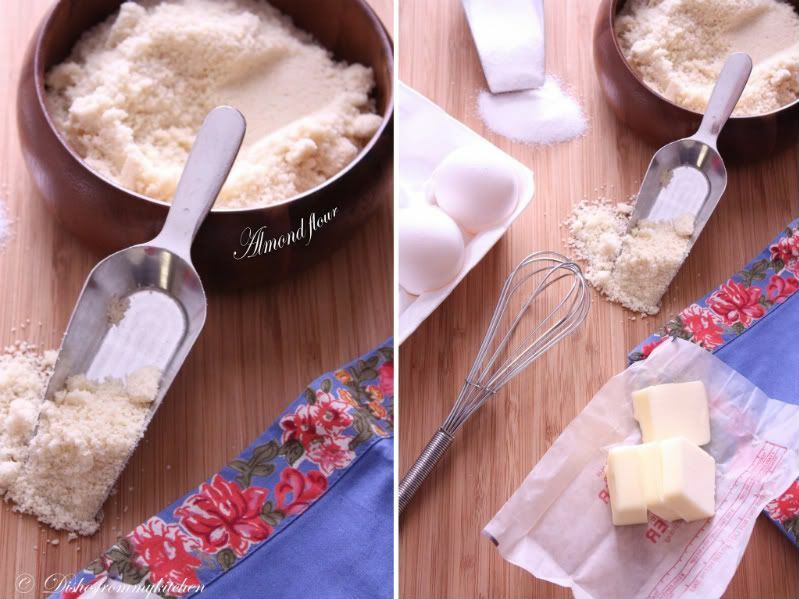 Beat the soften butter and sugar well. 2. Add the egg beat well. 3. Now add the Almond flour/powder and Apf. 4. Beat well and add the flavors. 1. Pour the filling in the baked Pasta frolla. 2. 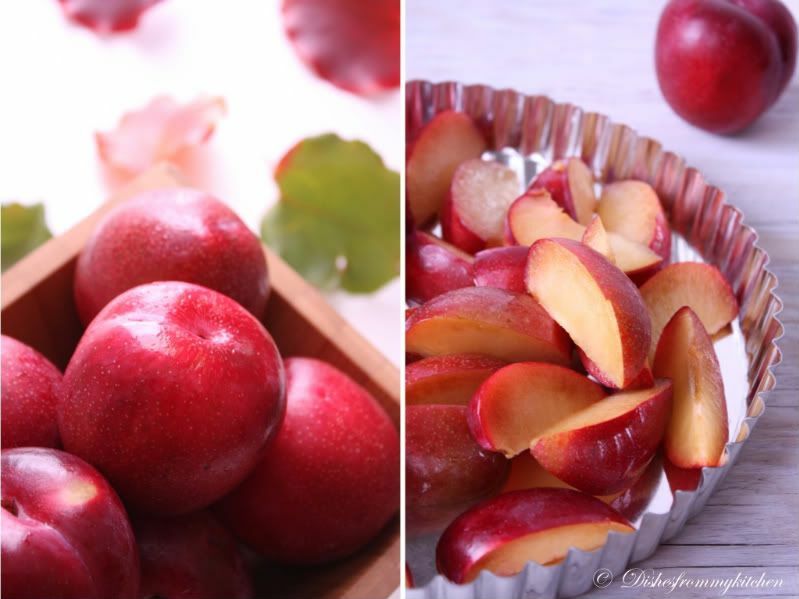 Arrange the fruits and Bake them at at 180°C (356°F) preheated oven for 25 to 30 minutes. 3. To check whether it is baked or not , they should not be jiggly. 4. Brush it with Peach preserve and dust it with powdered sugar. Serve with Whipped cream or Icecream !!! Ur clicks are really majestic.... love the great recipe too !!! Looks so pretty,if I make like you so perfect and pretty,i wont even get heart to eat these ;) Lovely pictures and great effort! Wondrous crostata the first photo is astounding and I just love the plums in the filling well done on this challenge. Cheers from Audax in Sydney Australia. Loved the pictures thoroughly dear...looks super yummy n tempting..
My heart just skipped a beat after seeing this wonderful picture of crostata :-)Just amazing !! 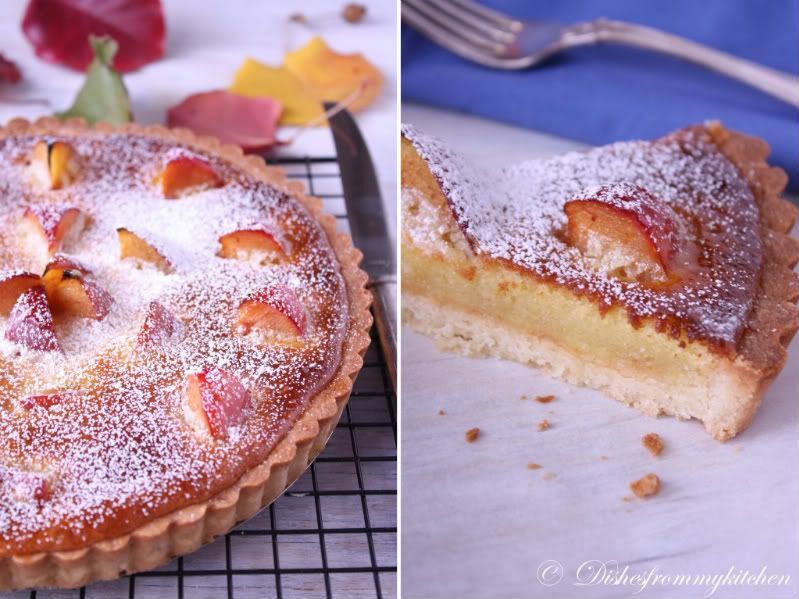 Lovely clicks, the Crostata look gorgeous and delicious. Love the plum as filling. Beautiful texture. I can feel the smell all through the monitor! :)Really nice combination and work! I dont have words to express my happiness seeing the pictures and the beauty of this tart..Great job pavi, amazing!! I love your crostata, the filling looks good! Good job with the challenge! Gorgeous Crostata! 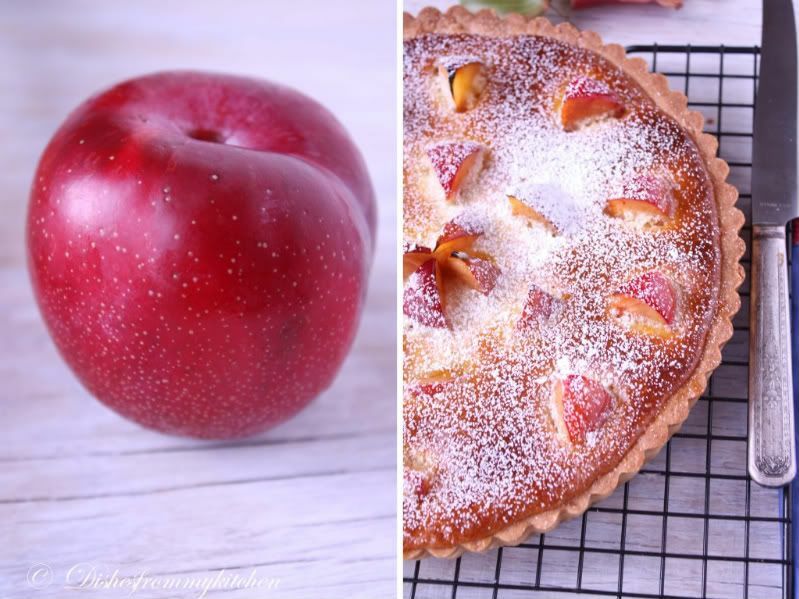 I can't wait to try frangipane and your choice of plum is just wonderful. Gorgeous and delectable crostata, awesome job Pavi.. 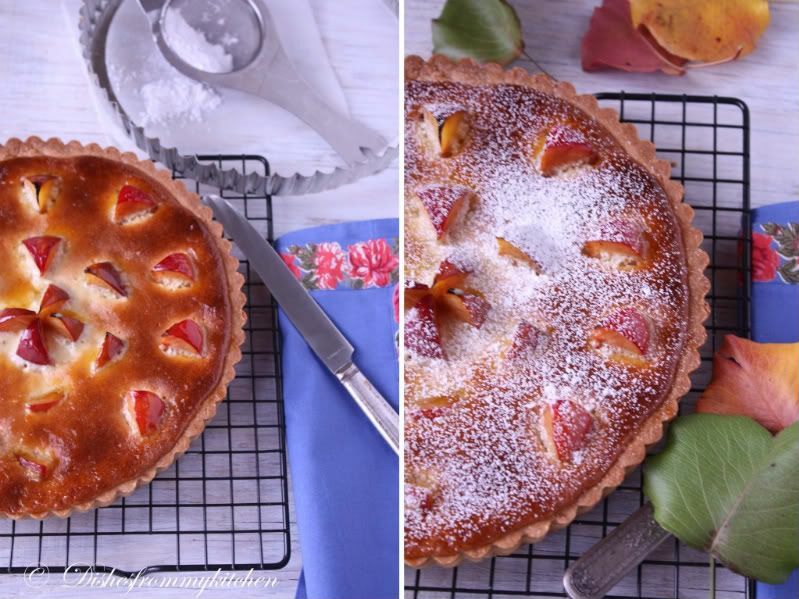 Plum and frangipane--what a wonderful combination! Your photos are beautiful too. I want a piece! Beautiful, and a tasty combination of flavors! Nice job on the challenge! Those are so pretty! Very well done..super impressed!! it looks beautiful. From where you get these ideas. I like the way how you arranged these plum wedges. stunning photographs as usual. Beautiful beautiful photography for a stunning looking dessert. Very nice choice for your filling! Love frangipane tarts (who can resist almonds?) and yours looks very pretty. That's a gorgeous crostata. I absolutely love baking with fruit, and I love the way you made yours! They look absloutley beautiful and so so delicious. This looks so pretty! And I love frangipane filling. Beautiful work! 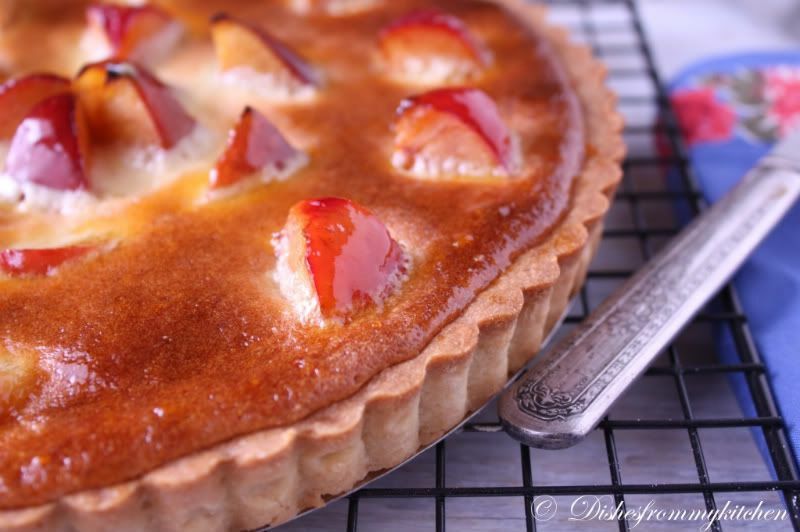 I have to try your frangipane filling, it sounds delish! Absolutely love the clicks ........ its a gr8 way to demonstrate this awesome recipe. Wonderful - looks too tempting!! Almond meal in the filling?? Wow, wow wow!! It must have tasted super delish!! Superb pics!!! What a beautiful array of photos. 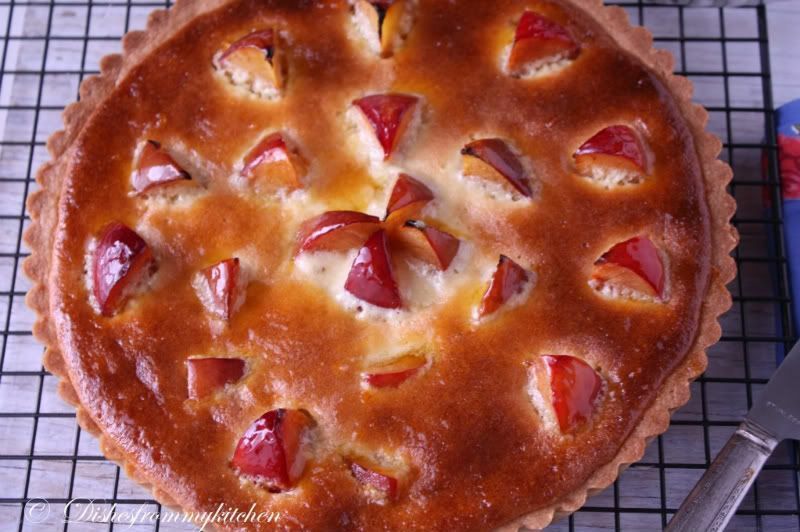 I love the way the plums are sticking up out of the crostata slightly, it makes for a good bit to texture in the appearance of your sensational dish! I love Frangipane! And the combination with plums looks terrific! Oh wow this looks amazing! 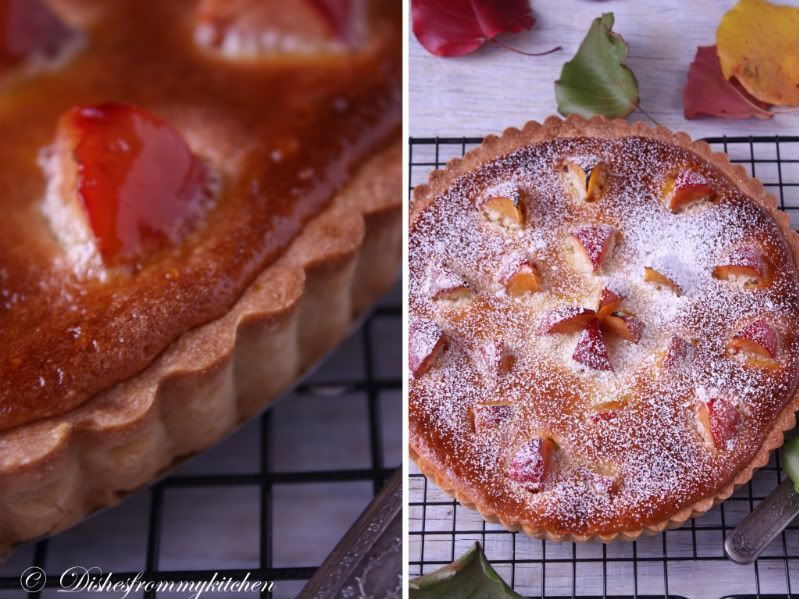 Frangipane plum sounds like a divine combo, awesome job on the challenge! alright that looks super yummy Pavithra. That crostata is perfect! I really like your choice of filling. So divine. The tart looks so pretty...great pics as always, Pavi..
Wow, what a wonderfully presented dish. Crostata looks gorgeous, delicious and mouth watering. I appreciate for your wonderful presentation. I am drooling seeing such yummy dish. oh my... i am drooling here. wonderful clicks which are so tempting.perfect job done. Your photos are stunning, I love the powdered sugar on top. Excellent choice for filling, sounds delicious! Wounderfully baked and presented well..Truly tempting. Gorgeous clicks.. and the dessert is even more mouth watering..
Wow Looks so yummy and beautiful clicks. wow simply amazing and so very delectable. ONION MURUKKU - DIWALI CELEBRATION !! !